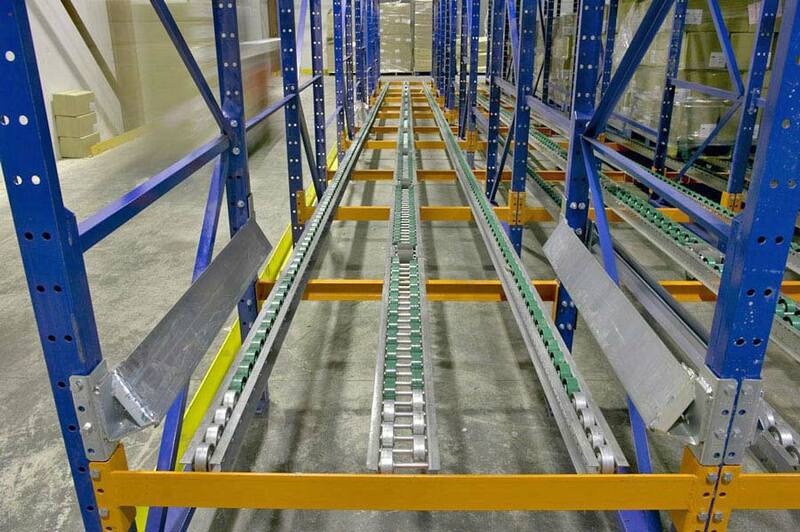 Pallet flow rack systems can turn your existing static pallet racking into a space saving dynamic gravity inventory control system. 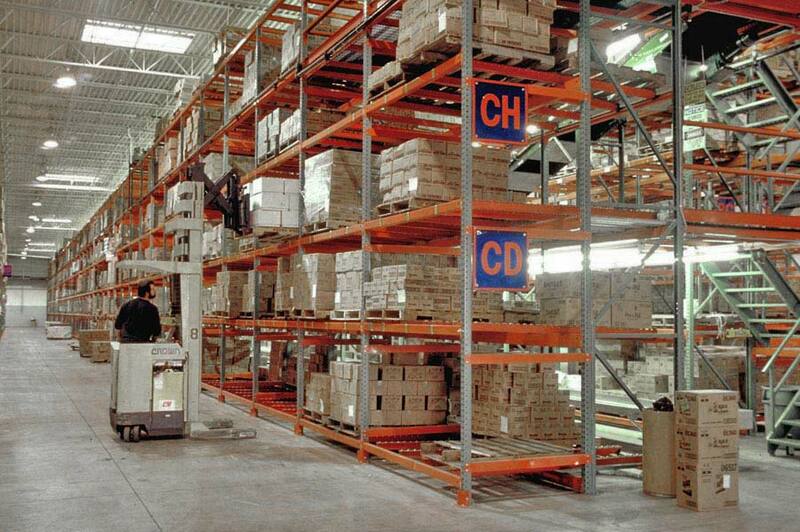 By adding pallet rack rails with wheels or rollers (which slides pallets in and out of the storage rack) flow systems are a cost effective storage solution that allows for future growth and change. Pallet flow storage systems cost much less than systems such as pushback rack, conveyor systems or other gravity flow system storage applications. Pallet flow racks can help you turn your existing warehouse storage into a FIFO or 'First In First Out' pallet storage system, while eliminating high equipment costs. Pallet Flow differs from other dynamic gravity flow products like spantrack because they can carry a much greater load capacity and are used for pallets or skids and not just as carton flow. 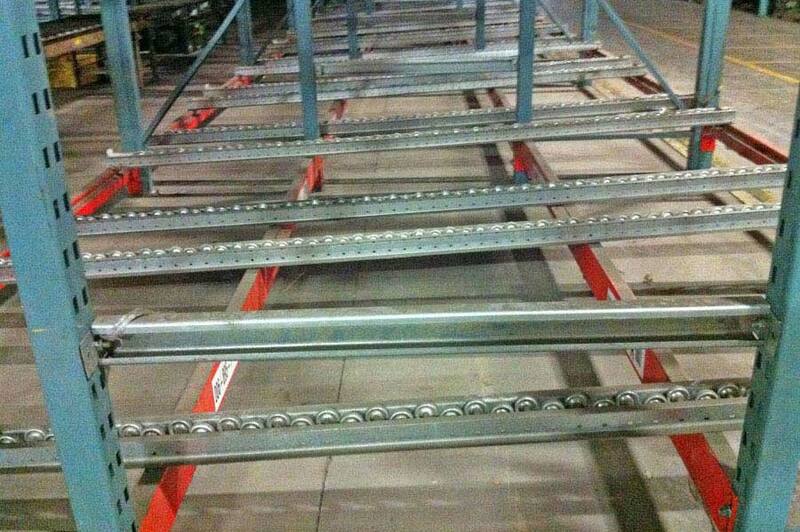 Pallet gravity flow rack systems typically come in either single or dual wheel configurations. Both types can and often are used in the same installation, with the dual wheel rails running down the middle of a pallet and single wheel rails on the sides. 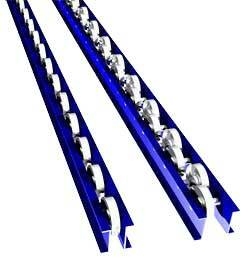 Pallet flow rollers are also commonly composed of either a steel or polypropylene material. The steel skate wheels will hold up better under repeated use, however poly rollers will not rust, and will tolerate damaged pallet bottoms slightly better than steel. Pallet flow rack systems also have a few specific accessories that are useful in certain applications. First, since pallet flow rails can store product in a very deep lane, brakes are often necessary for speed control to slow down pallets as they roll forward along the flow lanes. 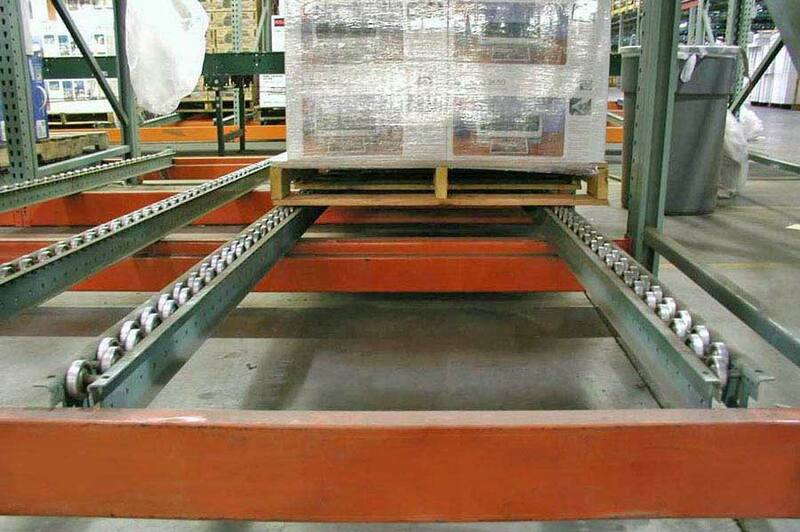 Similarly, once the product arrives at the end of the flow lanes, end stops may be required for pallet rack safety to prevent the pallet from falling off of the end of the rails. UsedRack.com is thedistributor of new & used pallet flow rails, dynamic pallet storage systems and pick modules for Minneapolis, Minnesota and its surrounding area. 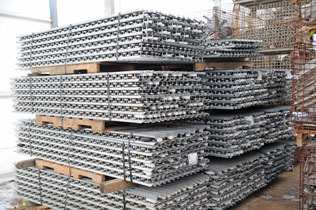 In business since 1979, UsedRack.com stocks all major brands of pallet flow rail including: 3D - Interroll - Mallard - Interlake Mecalux - Unarco - Dynamic - Hannibal - SJF Material Handling - Spacerak - Steelking and more. Below, you'll find a selection of the best flow rack systems links on the web.